The constant struggle to stay on top of the search engines plays out daily in all sectors. 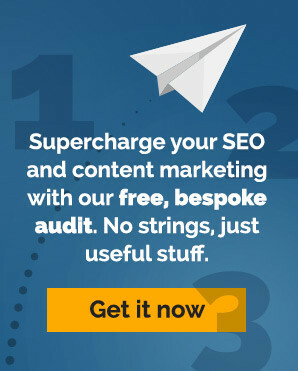 Where yesterday we had keyword-driven SEO copywriting, today it is content marketing that gets the headlines. The pressure behind this need to keep pace is the continuous tweaking (improving) of the search engine algorithms – those mysterious equations that review, interpret and decide the relevance of our digital content. The reality is that if you are not publishing a steady stream of new, relevant and engaging content, you are losing out in the arms race to stay atop Google and its ilk. You need to go above and beyond your competitors to stay ahead and defend your position (your search market position) to keep pace, let alone to gain share. Is there a magic formula for how often you should publish your content? No. But, there are some compelling hints at how you can keep pace with the race. Just like the Tortoise who beats the hare, if there is one thing that is clear with copywriting and content, it is that consistency wins the day. Whatever you do, whatever your content, whatever amount of copywriting you produce, your schedule of publishing must be consistent. Quality might be more important. Content marketing is not all about adding more blog posts or white papers to your website (though this definitely helps). There are heaps of other types of content you can publish. Your competitors are already planning their next move in the content marketing arms race. What will yours be? I enjoyed your article, especially the equation near the end. I’m just starting out in the industry (recently completed an seo course) and am amazed by how fast it changes. Creativity is a must!